Accuracy with the Rigol DS1054Z Frequency Counter « Adafruit Industries – Makers, hackers, artists, designers and engineers! Nerd Ralph reviews a feature of the Rigol DS1054Z. I recently found out that in addition to a software frequency measurement (shown in the bottom right) the DS1000Z series has a hardware frequency counter (shown in the top right). The hardware counter is enabled by pressing the “measure” button, select counter, CH1. 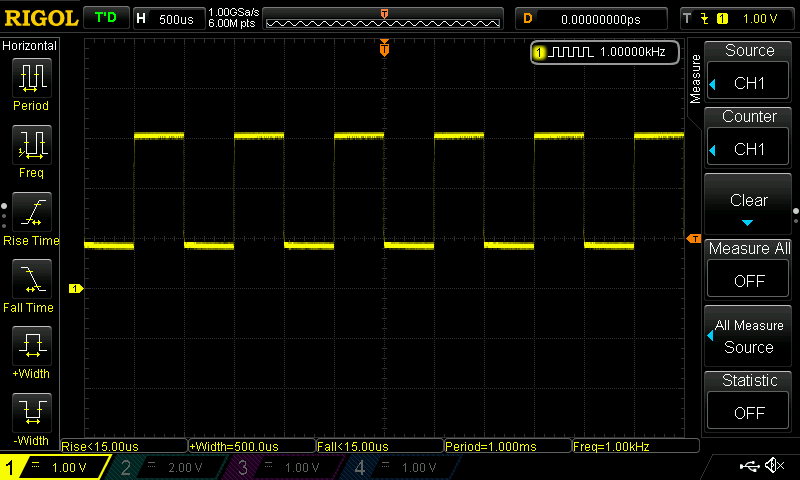 The display shows 6 digits, or 1 ppm resolution, but I was unable to find a specified accuracy for the counter. My testing suggests the accuracy at ~25C ambient temperature is 1-2ppm. 1 GS/s 50 MHz 4-channel Digital Oscilloscope – Rigol DS1054Z: The ultimate debugging tool for electronics, this oscilloscope will turn you into a “Circuit Whisperer”. You will be able to peer into the workings of your circuits to better understand them. Difficult problems will suddenly become trivial. 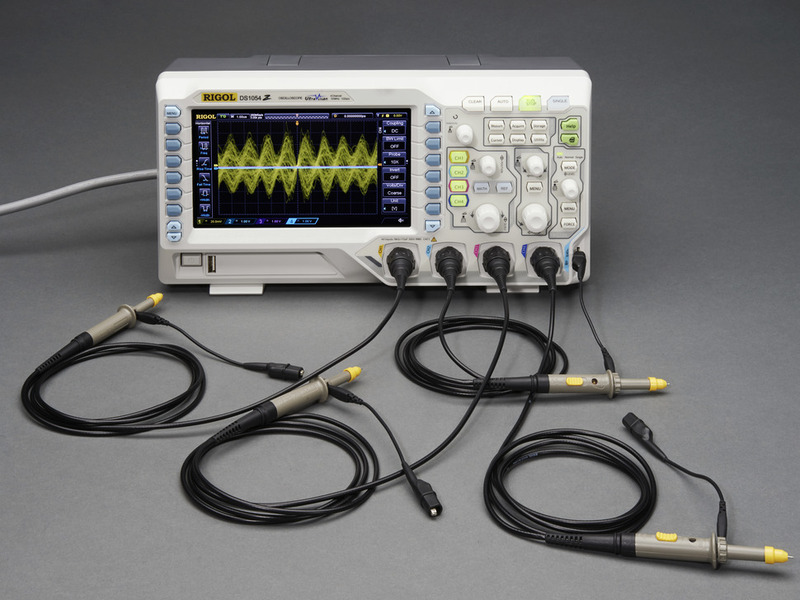 We tried many beginner oscilloscopes and found this one to be a perfect balance of price and function for anyone looking to to examine signals lower than 50MHz and in need of 4 channels. At this price, it’s perfect as a ‘first scope’ or as a hacker-space resource to share – and can be used for years as your projects get more complicated. Read more.